Several prominent rabbis identified with the Religious Zionist movement urged Bayit Yehudi to ensure that hareidi parties are included in the government now being formed. 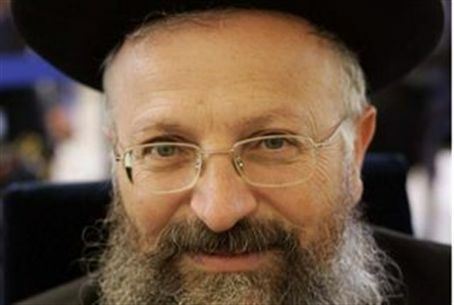 Rabbi Elyakim Levanon, one of the most important Religious Zionist rabbis in Samaria, and Rabbi Shmuel Eliyahu, the chief rabbi of Tzefat and son of former Chief Rabbi Mordechai Eliyahu z”tl, recommended strongly in a letter to Bayit Yehudi leader Naftali Bennett that he negotiate with Prime Minister Binyamin Netanyahu to include Shas and United Torah Jewry in the government. The two rabbis are considered among the top rabbinical supporters of Bayit Yehudi, and in recent days have been working behind the scenes to convince Bennett not to enter the government without the inclusion of the hareidi parties. On Monday, the two went public with a letter to Bennett, which they released to several web sites. The rabbis wrote that they were “worried” that “negotiations for a coalition are taking place in an atmosphere of complete dismissal of hareidi parties. With all the differences in ideologies and stances, we are, after all, Jews who believe in the observance and support of the Torah. We call on you in a clear voice: Include the hareidi parties in the negotiations,” and build a coalition with them, instead of with Yesh Atid, the rabbis wrote.